Parenting by the Book wins Mom's Choice Award! Click on the logo above for more details. Click here for John's testimony. Parenting by The Book, are available through our Bookstore. Order today! Picture respectful, responsible, obedient children who entertain themselves without television or video games, do their own homework, and have impeccable manners. A pie-in-the-sky fantasy? Not so, says family psychologist and bestselling author John Rosemond. Any parent who so desires can grow children who fit that description—happy, emotionally-healthy children who honor their parents and their families with good behavior and do their best in school. Through his nationally-syndicated newspaper column and eleven books, John has been helping families raise happy, well-behaved children for more than thirty years. In Parenting by The Book, which John describes as both a “mission and a ministry,” he brings parents back to the uncomplicated basics. Herein find practical, Bible-based advice that will help you be the parent you want to be, with children who will be, as the Bible promises, “a delight to your soul” (Pro. 29-17). As a bonus, John also promises to make you laugh along the way. NOTE TO CHURCHES AND SCHOOLS: Parenting by The Book is ideal for use as a text in parenting classes conducted by churches and schools, especially Christian schools. Each of the eleven chapters is followed by Questions for Group Discussion or Personal Reflection that are sure to stimulate plenty of discussion. In addition, John has included a section on "How to Use This Book" that will serve as a guide to group leaders and facilitators. Last, but certainly not least, a full Parenting by The Book Group Study Program package is now available! 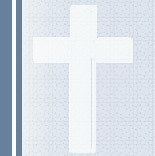 The full program contains a Leader's Guide, either 10 or 20 copies of Parenting by The Book, two scripture-referenced DVD presentations for group showing (each approximately 30 minutes in length), a supplementary DVD with two 60-minute presentations for individual or group viewing (each approximately 60 minutes in length), two 90-minutes CDs for individual listening, and a poster-size, laminated copy of John Rosemond's Bill of Rights for Children. Please note that the purchase price is for a SUBSCRIPTION to the program. As new CD and DVD updates become available, they will be sent to all subscribers free of charge. The present DVDs and CDs were filmed and recorded before audiences in Albuquerque, Charlotte, Jacksonville (FL), and Durham (NC) and represent the very best in John's inimitable presentation style. We are confident (and feedback thus far confirms) you'll find the Parenting by The Book group study program to be the very best of its kind in the Christian market, or any other market, for that matter. To order the program, please go to our Bookstore. For more information, please call Willie Rosemond at 704-860-4711. Thanks! John Rosemond, M.S., developed Parenting by THE BOOK™ to be a comprehensive Christian education seminar course to equip parents with powerfully effective child-rearing skills. The seminar materials, methods, and recommendations are based on quintessential Scriptural principles, Bible scripture, supportive scientific research and common sense. As such, Parenting by THE BOOK™ is intended for delivery through churches, church-supported schools and other Christian organizations. To inspire and empower parents to raise well-mannered and well-behaved children of competence and character, children whose decisions are consistent with the fundamental precepts of Judeo-Christian (Scriptural) morality. In March 2001, Amazon.com listed 10,450 titles under "Parenting." With rare exceptions, these do not reflect a traditional, Biblically-consistent perspective; in fact, most reflect a secular, post-modern child-rearing philosophy that is fundamentally hostile to a Scriptural point-of-view. 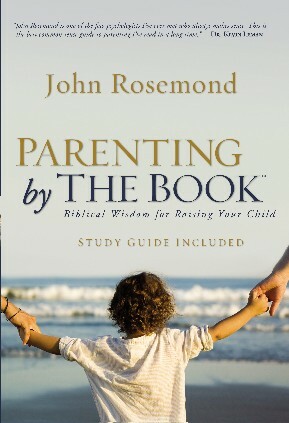 In 2000, psychologist John Rosemond began developing a parenting curriculum that would fill the need that exists for practical information and methods that are effective, inspiring, and validated both by Scripture and quality scientific research.